Mark Coulson, Ray Parker, and Tony Tedesco lead the firm’s regional and national business practice, which includes representation of closely held businesses, private equity firms, nonprofit organizations and other organizations involved in the acquisition and disposition of business entities, business assets and commercial real estate. The firm is known for its tax, securities and business expertise in structuring such transactions, with deep insight into the impact of such structuring upon the individual participants involved in such transactions. 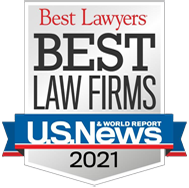 Although most large law firms offer routine corporate services, Williams Coulson is unique because all of its business attorneys possesses a sophisticated knowledge of tax law that enables them to seamlessly integrate tax planning into their business practice. Williams Coulson counsels entrepreneurs starting new ventures, advising on the formation of companies, equity structures, and negotiations with venture capital and other types of investors. We provide a full array of services and business development support to our early stage and emerging growth clients and venture investors. ….